Rodama: a blog of 18th century & Revolutionary French trivia: Diderot by Fragonard...or not? 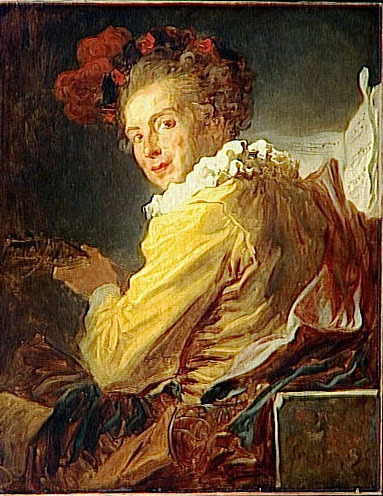 This familiar and much reproduced Fragonard portrait, currently on display in the Louvre’s new Northern “annexe” at Lens, is “Diderot” no longer. According to the new label it is “The portrait of a man called “Meunier”, formerly wrongly identified as Denis Diderot”. What is this all about? There is no direct evidence Diderot ever saw Fragonard’s painting, still less sat for it and the identification has occasionally been questioned over the years –for instance, in other portraits Diderot has brown eyes and in Fragonard’s they are blue. The clinching evidence, however, appeared in June 2012 when a hitherto unseen Fragonard drawing was sold at public auction. It consisted of a series of small pen and ink preliminary sketches for Fragonard’s 1769 fantasy portraits, of which the Diderot is one. 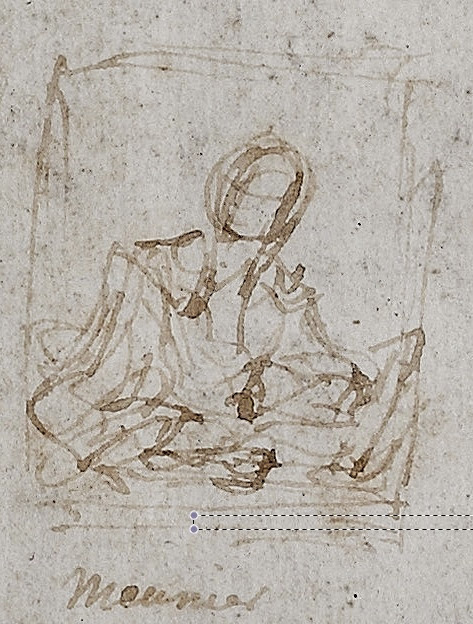 Many are labelled in Fragonard’s handwriting, and there it is, under the Diderot, the identifying tag “Meunier”. Fragonard, 18 sketches for portraits. Pen and brown ink. The Fragonard expert Carole Blumenfeld has not been able to oblige us with a satisfying identity for “Meunier”. 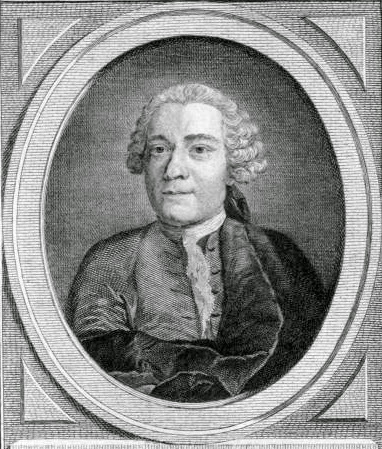 The front running candidate is one Anne-Gabriel Meusnier de Querlon (1702-1780), author of some all-but-forgotten novels – hardly a worthy substitute for the great philosophe. To make matters worse the only (other?) surviving image of Meunier/Meusnier is a very run-of-the-mill engraving. Fragonard's fans have bowed before the evidence but remain unappeased. One obvious question – and it has been much asked – is whether the fantasy portraits are portraits in the conventional sense at all? The term is not Fragonard’s own – it was coined by an art historian in 1960. We know roughly the circumstances in which the pictures were painted. 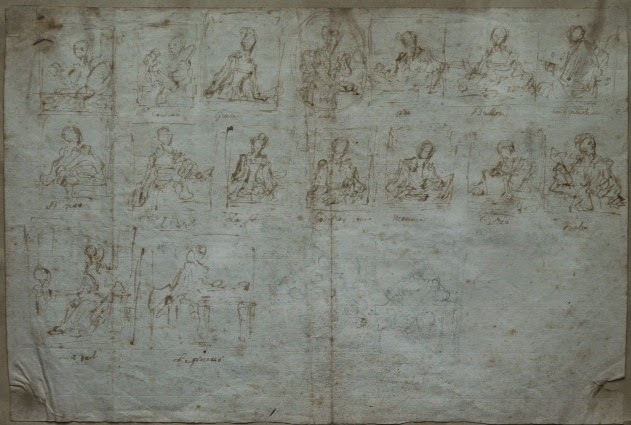 The first two are certainly portraits of sorts; as the newly discovered drawing confirms, they depict Fragonard’s patron the abbé de Saint-Non and his brother M. de la Bretèche. Notes on the backs claim they were completed in less than an hour, a feat possibly completed as a wager. But tellingly, although they remained in the family’s possession until the 20th century, they were never hung in the family portrait gallery. The figures are in theatrical or possibly “Spanish” costume, which in itself removes the sitters from their everyday persona.. Several have titles suggesting stock types or moods, “the Actor”, “the Warrior”, ”Music”, “Inspiration” and so on. Mary Sheriff has suggested that Fragonard’s oil sketches are not so much portraits of individuals as re-inventions of existing works of art. 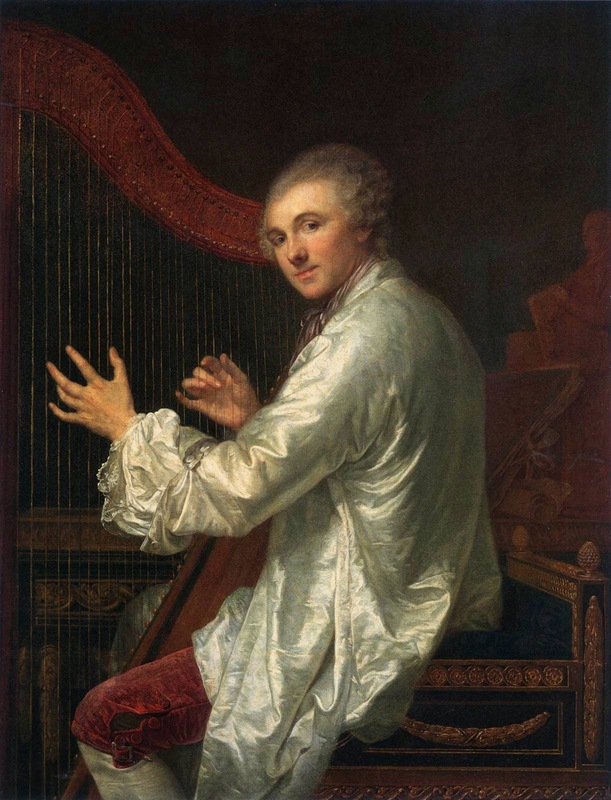 The painting entitled “Music” for example has more than a passing resemblance to a Greuze portrait of La Live de Jully at his harp. Others in the series show Fragonard reworking the same pose, perhaps again borrowed from another artist, with minor variations for the different sitters. 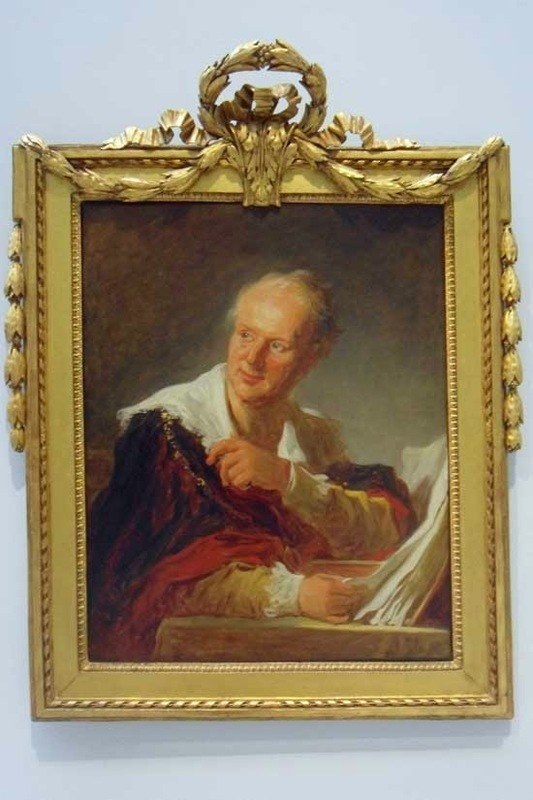 "The Actor" (abbé de Saint-Non); "Inspiration"; "Portrait of a young artist"
The original of our picture has in fact always been obvious – it is Michel van Loo’s Diderot, exhibited in the Salon of 1767, just two years.earlier. 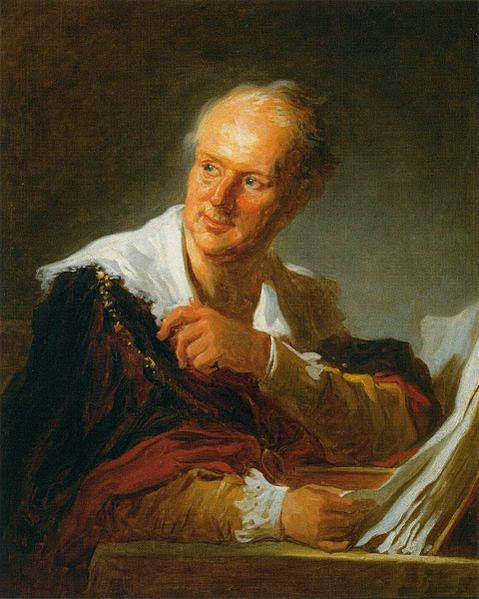 Fragonard painted “Meunier”, but it is “Meunier” as “the Writer” and Fragonard found his archetypal depiction of the writer in a portrait of Diderot. "The Writer" by Fragonard, 1769. What would Diderot have thought? Interestingly, Diderot himself criticised the Van Loo portrait in his Salon of 1767 for depicting him as too young, too affected and in a sumptuous attire altogether inappropriate for a philosopher. 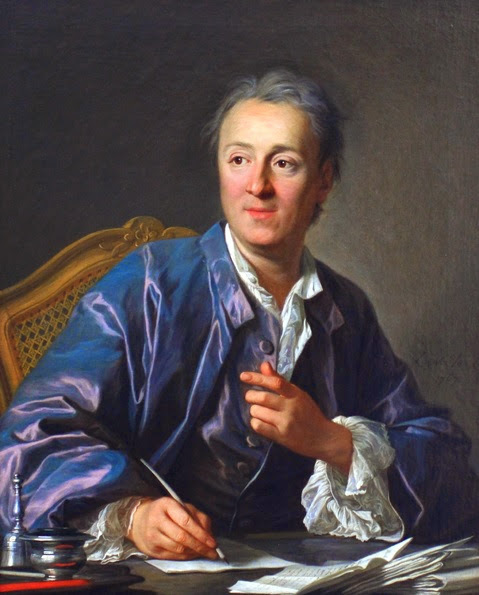 Evocatively describing how he imagined himself, Diderot wanted to be shown in a moment of reverie, his eyes looking afar, his mouth slightly open. Fragonard’s “Writer”, rough, impressionistic, encapsulating its subject’s self-absorption seems to catch just such a mood. It may not be “a portrait of Diderot” but it may be close to Diderot as he saw himself. Discussion and photographs of the newly discovered Fragonard drawing can be found in The Art Tribune for 04/12/2012 and 20/07/2012. See also: Mary D. Sheriff, "Invention, Resemblance, and Fragonard's Portraits de Fantaisie" The Art Bulletin Vol. 69, No. 1 (Mar., 1987), pp. 77-87.